Hello, Jonathan here. I’m going to do something that hasn’t yet been done on my blog: share the thoughts of a guest contributor. But not just any guest contributor. This is a high school friend of mine, so, well, let’s just say we’ve known each other for a long time! Anon, as they will be known, is a school janitor, who has had many a conversation with me on food waste in schools. 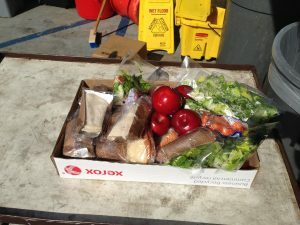 I have setup close to 100 recycling programs and schools in Southern California, seeing firsthand, just how pervasive and disgusting this food waste problem we have is. Anon’s perspective, though, is different, because they have worked first hand, up close, in the trenches, so to speak. They have (out of job preservation) been forces to throw away thousands of gallons of fresh milk and tons of edible food. Their perspective will blow you away. Pictured on left was some food “waste” I recovered a few years ago. On the right was some partially eaten and untouched meals that wound up in the trash. As a substitute custodian of more than 2 years, I have seen at every district I’ve worked horrendous amounts of daily food waste. These districts supposedly have food scrap programs, but I have yet to see the evidence. 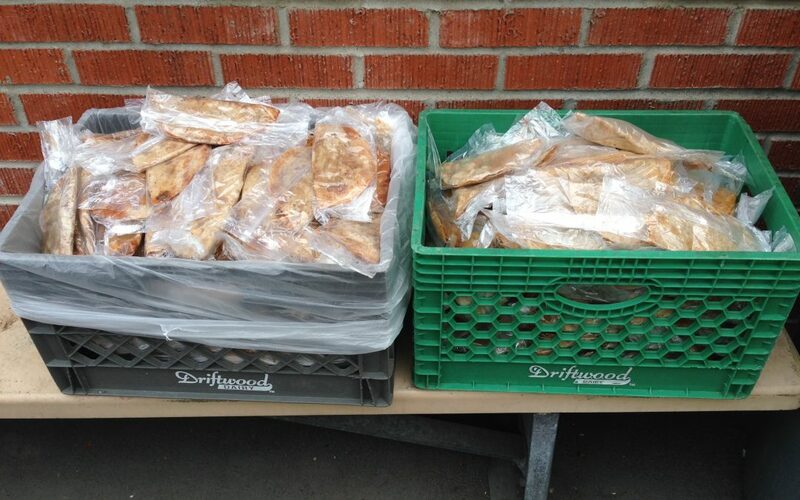 Very few schools are allowed to give out any leftovers-if only to employees-otherwise it all goes in the garbage. The students at any age aren’t taught a thing about the value of what they’re eating, only to eat what’ given and throw what they don’t want. Yes, cafeteria bins are specifically labeled for food waste in one, trash in the other, but it does no good as everything gets tossed in everything. Kids can’t be expected to learn the difference between regular garbage & food conservation if the meal of the day is forced on them with no education. The result of this is hauling bags and bags of mixed food and garbage to the dumpster, and some schools are worse than others depending on the lack of discipline. Since personnel have power, I believe if they bothered their district offices enough, then a foot would be put down. Also, if gradeschoolers and middle schoolers were made aware of alternative milk sources(i.e. soy and nut-based), they would start asking about it and upon introduction would, I imagine, like it enough to throw out less. Any students who have ever wondered what else is available to eat and drink while keeping it at a reduced rate, no harm can come of talking to your principal or whoever you think you can about it. Federal budget might possibly be reconsidered with enough weight on it and potentially give food programs leeway to donate leftovers to shelters, charities, etc. Power to the cycle and thanks for listening! Please share any questions or comments you might have for Anon in the comments section below. Food waste in schools i probably one of the worst forms of waste in this country. 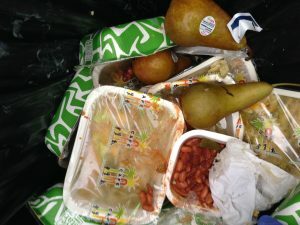 We spend billions of dollars per year feeding our Nation’s children, which must of that food going straight to the trash. This is not only a waste of resources, but a cultural brain drain. When we force our children to take food they don’t want, telling them to just throw it away, we ingrain the notion that food has no value. Is that the message we want to send our children? I also work in public education and this is something that bothetrs me greatly. I have seen teachers take food out of children’s hands and throw it in the garbage because sharing is not allowed. I have seen trays of food, untouched, dumped in the trash while other kids leave the cafeteria hungry. What can I do to make changes without losing my job? How can I open people’s eyes? Are there resources available from existing programs? “Teachers will take the trays out of students’ hands not just from “sharing not allowed”-which is also a horrible thing to be teaching them, because what if they have hungry friends who can’t always afford lunch? It tends to be a child’s instinct to want to share with friends-but also if they’re late for recess and the kid isn’t being quick enough to the garbage can. The lunch monitors are more specific regardless of the time and still take care of what goes where, but the teachers are all about “toss it, toss it, toss it” when crunched for recess. The students would probably have a much better handle on “what goes where” for themselves if they weren’t getting so many mixed messages from adults. One minute they’re being told about the pictures on the garbage cans depicting where you throw your food and your trash, the next are being hurried out the door and told to just toss everything everywhere. I go to an urban high school with roughly 3,000 kids populating it. They aren’t as strict with sharing and the lunch is free but I see kids carelessly throw out the food they don’t want and like you said- they’re forced to take it anyway. I hate throwing out my food and usually give it to anyone else who’d want it like a teacher or a friend. Kids have become so uneducated as to how good we have it to have free food and instead i walk to class seeing kids throwing their packaged breakfast on the floor or at one another. I talk to my friends about it sometimes and they just shrug their shoulders and simply say “well i didn’t want it so-“. I really want to talk to someone about this in my school but I’m honestly afraid to because if you stand up to anyone there about any type of real issue its like a big “you’re doing your job wrong” type of accusation rather than a suggestion to save money and help others.